Hadara Lazar was born and grew up in Haifa. 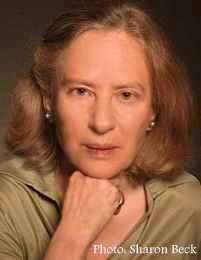 She holds a BA in history from the Hebrew University of Jerusalem, and also studied literature at the Sorbonne, in Paris. After spending a number of years abroad, Lazar worked with B'Tselem, a human rights organization, during the 1st Intifada. Lazar has published novels, and remarkable non-fiction on the last years of the British Mandate as experienced variously by Jews, Arabs and the British. It was the research for those books that led to her novel, A Local Affair. Lazar is also the translator of Sartre's major novel, Nausea, into Hebrew.